I haven't bought anything MAC in quite a while. A good few years as a matter of fact. I can only blame my lack of funds for my lack of MAC. At the end of my Holland trip earlier this month, I just had to sort this issue out, and saw a lovely MAC stand in the middle of Schiphol Airport that I knew I had to enter. I've always loved MAC lipsticks, so I felt the need to buy a new one... I was looking for one that I would happily wear during the daytime, and yet is striking enough to wear during the evenings too. After a few too many swatches (my hand looked like a pink/red rainbow at the end of it) I found the one for me. It's a gorgeous pale pink shade on first application, but it can be built up for a slightly stronger colour. Great if you want to create different looks for various occasions/times of the day. The photo above is more subtle, so would definitely be good for a daytime look. There's a lot of shine to it though - more than I expected. There's no need for additional lipgloss on top, because of its 'lustre' finish, and it's quite creamy and moisturising in texture so your lips don't feel dried out (which is usually a big issue for me). The lipstick itself is very easy to apply - it's smooth and just glides on your lips, yet applies evenly, which is great. I don't tend to apply lipstick evenly first time, so the fact that this lipstick does is a massive bonus for me. I wouldn't say this lipstick lasts all day - a few hours maybe - so you would have to reapply through the day. Overall, I do really like this lipstick. This shade is just right for any look, it doesn't dry your lips and I love the glossy effect. You can buy it for £14 - not a bad price really, but it was a tiny bit cheaper for me as I bought it in Amsterdam. 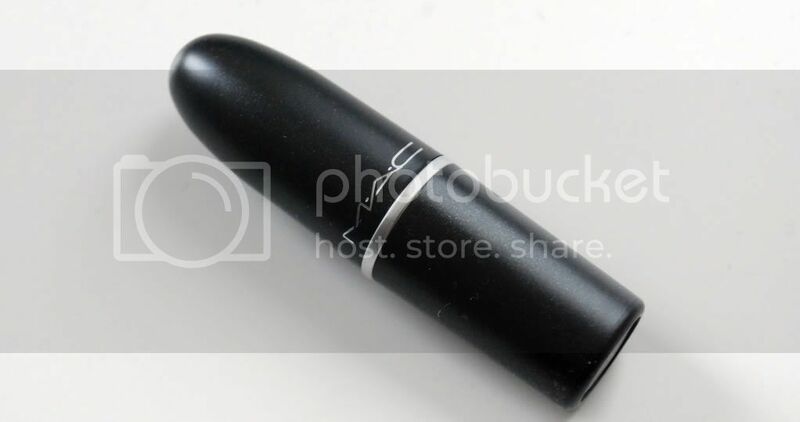 It's definitely helped renew my love for MAC and I can see myself buying more Lustre lipsticks in the future. I had had my eye on this lipstick for a while (along with fanfare) and while i think its a nice colour, im suprised at how sheer it is! much more of a matte girl myself.